Raising children as a single parent can be extremely difficult. Money can be tight and energy levels can run low. There will be times that your child asks for something and you’ll have to decide if it is necessary. There will be other times when your child really needs something and you’ll have to figure out how to afford that need. Of course, you can always say no when you need to (which may lead to guilt, but has to happen sometimes). If your child is bringing up things that they want, but may not need, you have to prioritize. You can absolutely say no to extra wants, but those needs must be covered. 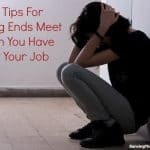 These tips may also work for people who have a dual income household, but for the purposes of this article, we’re going to focus on a single income. 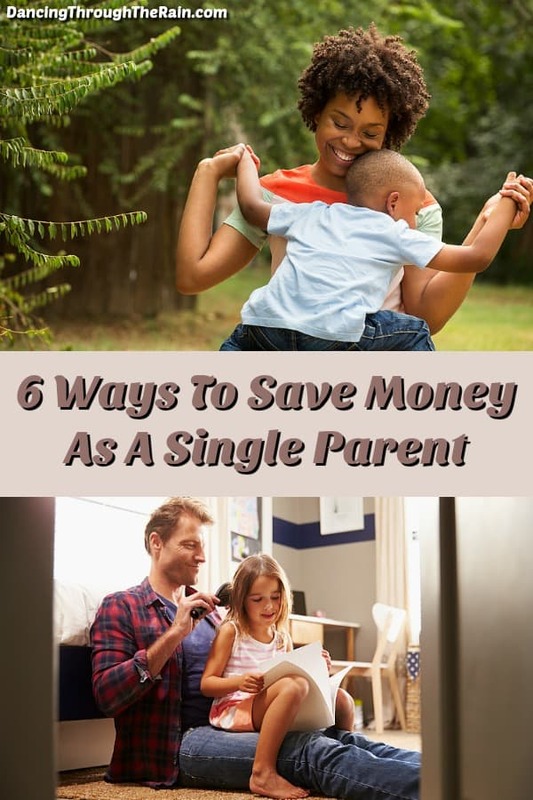 Here are a few ways to help you save money and prioritize those needs as a single parent. If you haven’t done it yet, you need to sit down and create a budget. This can be the most difficult part of being a single parent. When first looking at it, it may feel like you can’t live off your income. You need to create a budget. Creating a budget will not only tell you how much money you need to bring in as well as how much you need to pay the bills, it will give you a sense of control. Not knowing and letting the ideas of everything float about in your head is extremely stressful. 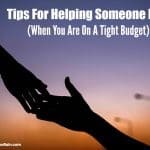 You’ll be surprised what the simple act of creating a budget can do. Start a list of household necessities (rent/mortgage, utilities, food, etc.) and start collecting numbers for how much you typically spend on each per month. 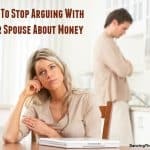 In another column, list the items that you have, but could potentially do without (one phone vs. a home phone and cell, etc. ), and in a third column, list the items that are wants, but not needs (Netflix, coffee pickups, etc.). This is where you will see what you must have to stay afloat and what you might be able to afford from the other lists occasionally. 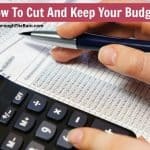 There are other ways to cut and keep your budget to read through as well. Once you have a good idea of your expenses and income, make a solid plan for what you can spend each day or week – and stick to it. You will want to reevaluate your budget every few months, as things do change over time. It is time to get down to serious financial business. As a single parent, you need to focus on your finances as well as your credit score. 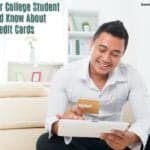 The more money that you have the potential to owe (loans, credit cards, lines of credit) without waiting a good amount of time between opening each, the lower your credit score will be. 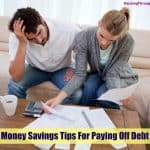 Financial institutions want to know that you have a solid history of being able to pay off your debt or it may be more difficult for you to borrow money in the future. Do your best to pay at least the minimum (or significantly more if you can) on each and every loan and credit card you have every single month. Let them see that you are dependable so that you can remain in good standing or build your credit back up. What’s more, it may sound easy to go get a title loan on your vehicle or get a payday advance, but do anything you can not to go this route. The amount that they require you to pay them back is astronomical (we’re talking up to 300% annual percentage rates), which only puts you into more debt. In the moment, having the cash makes a lot of sense. It solves your problem for today. But as a single parent, these kinds of loans will only dig you in deeper – and cause you much more stress. In order to save money as a single parent, you want to keep extra debt to a minimum – which means those fast cash loans need to go away. 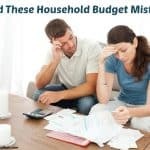 Now that you’ve set a budget and are committed to not take on any additional debt with fast cash loans, it is time to think about extra ways to start really saving money as a single parent. One of the best practices to start picking up is to compare prices online before you purchase any necessary items. Having the internet and a smartphone is extremely useful during times of trying to save money as a single parent. When you need something, do a little research. See what different stores sell items for online and if it is an important item, go check out the product in a store. Once you’ve decided that this is the item for you, purchase from the location that offers the cheapest price. You’ll often find extra discounts around holidays, so if you can wait until Black Friday, 4th of July, Labor Day or the like, use whatever coupon codes are offered by the chosen store and take advantage of free shipping if you can. Let’s be honest, clipping coupons can be a chore. You have to hunt down the newspaper (or spend money to have one delivered), go through all of the pages of coupons, cut them out, sort them, and bring them with you. Luckily, brands and stores are making it easier for us these days. Digital coupons have become quite popular with most consumers and stores. You can easily download a digital coupon app to your smartphone, go to the store, pick up the item and show the cashier your smartphone with the digital coupon held up so they can scan it. Even better, many of the stores will allow you to load your coupons to your loyalty card or phone number so that the discount automatically come off your order at checkout. Go to the website of your local grocery store to see if they offer a service like this. After you make your purchase, there are also several apps that will allow you to save money by submitting your receipt. Ibotta offers tons of different discounts each week and, provided you make your purchase at a participating store (there are over 300 including Target, Jewel-Osco, Walmart, Costco, Sam’s and many more), you can load those coupons and save extra money. Checkout 51 is a program that will allow you to load digital coupons and redeem your receipt from any store after purchase. Coupons change each week, so you can check back in to see what else might show up on a regular basis. Even better, both of these apps provide savings on fresh fruits and vegetables as well as brand name items. Every little bit counts! There is actually an art to grocery shopping. It may seem like common sense to walk into a grocery store with a list, purchase what is on that list, and go home to put everything away. Unfortunately for your budget, that is exactly what the grocery store is hoping you will do. Learning to shop loss leaders and sales is hugely important, so it is time to make the grocery store circular your best friend. The front page is typically a list of items that are deeply reduced and are meant to get you into the store. The store makes very little money on these sales (thus the term “loss leader”), but they are hoping that you will purchase other items to even things out a bit. If you can use the loss leaders in your home (chicken that you can freeze, $.99 produce, $1 toothbrushes, etc. ), be sure to take advantage of the savings. Plan your weekly lunches and dinners around these sales and make it a habit. If you have an ALDI in your area, they are also a great way to save on groceries. They don’t accept coupons, but they do negotiate rates with brands so they can offer everyday items at a cheaper price. You can also use a free ALDI meal plan to help you sort out your dinners for the week and let someone else do the work for you! The easiest way to save money as a single parent, in the long run, is to start cooking meals from scratch. It’s important to know that this may cost additional money upfront (for spices, herbs and shelf stable items), but once you’ve established a full pantry of things to use for homemade cooking, you’ll quickly see that this option saves you a ton of money and helps your family eat healthier. You don’t have to be Gordon Ramsay or Christina Tosi in order to whip up a tasty meal in the kitchen – believe me. There are tons of recipes out there that require only a few ingredients and ultimately taste amazing. Start with some Bacon Wrapped Pork Chops or Cabbage and Sausage Skillet, or peruse my entire section of recipes, which is aptly named Anyone Can Cook. They are easy recipes for a reason! 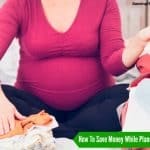 Each of these simple ways to save money as a single parent will help you to achieve your goal of being less stressed and more financially stable. Being a single parent isn’t easy but you can survive and you can flourish. Over time, you will learn to cut corners to save on more costs of raising the kids and keeping a home for you to enjoy together. Every little move counts, so give yourself credit when it is deserved. You can do this.